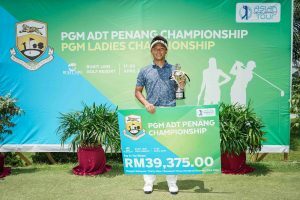 Johor, Malaysia, March 15: Japan’s Shintaro Kobayashi fired a sizzling 10-under-par 62 to take over the lead in the third round of the PGM UMW ADT Championship on Friday. 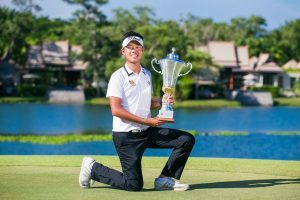 Kobayashi marked his card with two bogeys, eight birdies and two eagles to lead by one shot with his three-day total of 16-under-par 200 at the RM225,000 (approximately US$54,000) Asian Development Tour (ADT) event. 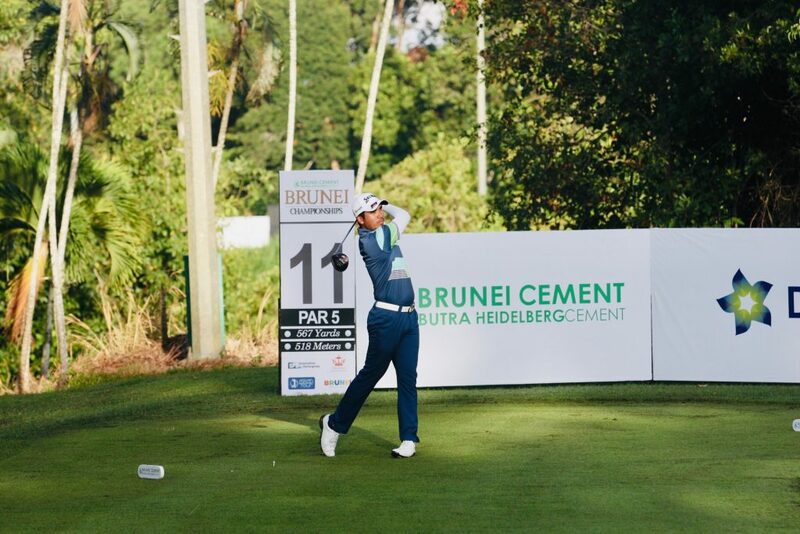 Overnight co-leader compatriot Kazuki Higa dropped to second place following a 68 while Malaysia’s Ben Leong trails two shots in third place after posting a 69 at the Palm Resort Golf and Country Club. 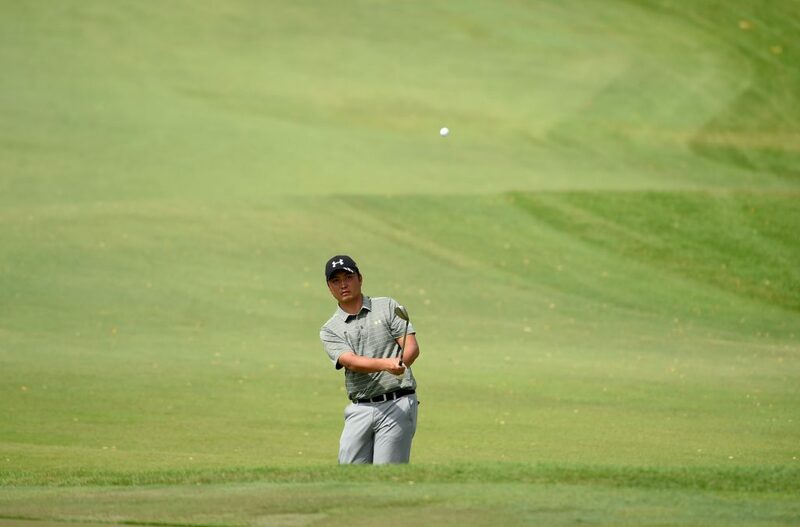 Starting the day five shots off the pace in tied-ninth, the 32-year-old Kobayashi was thrilled to shoot his career-best round that has now put him in a good position for his maiden victory since turning professional in 2012. “This is the best round of my professional career. I was making a lot of putts and only needed to make 10 putts in total in my back nine. I hit some pretty great shots today too like on hole 11, I had a 190-yard approach and struck it perfectly to two metres before rolling the putt in for eagle,” added Kobayashi. The Japanese, who struggled to adapt to the firm greens at the ADT event held at the same venue last week, made the decision to purchase a new wedge over the weekend, after finishing in tied-37th. “The greens here are much harder compared to what I am used to in Japan and I needed a higher loft. I am glad my decision is paying off this week,” added the Japanese, who plays mostly on the AbemaTV Tour. 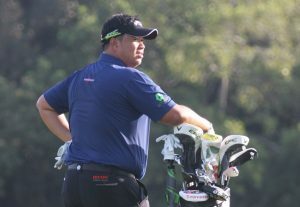 Higa, a one-time ADT winner, lamented his poor iron-shots but took pride in his performance as he managed to meet his personal goal of shooting a 68 on moving day thanks to his solid putting. “My goal today was to play four-under or below so I am glad to have hit that goal. I wasn’t hitting it well today but my distance control with my long putts helped me save a lot of pars,” said Higa, who traded six birdies against two bogeys. Coming off a joint runner-up finish on the ADT last week, the 23-year-old Japanese remains confident ahead of his final-day challenge. “I have enjoyed three wins since I turned professional and all of them were because I was leading after three rounds. 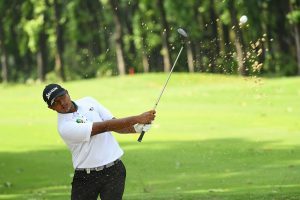 This will be the first time I am chasing for a win from behind and I hope I can get the job done tomorrow,” said Higa, who claimed his breakthrough on the ADT in Bangladesh last April.